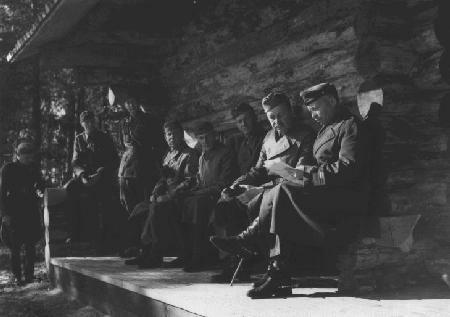 Being an enthusiastic hunter, Mannerheim showed great interest during the Continuation War, when Major General Erkki Raappana told him about elks in eastern Karelia. 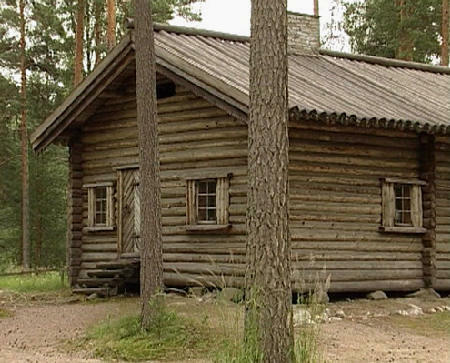 This produced the idea of building a hunting cabin and giving it as a present to Mannerheim on his 75th birthday. 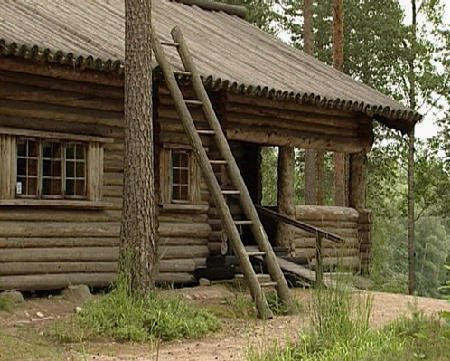 Towards the end of the Continuation War the cabin was pulled down and evacuated to Finland. 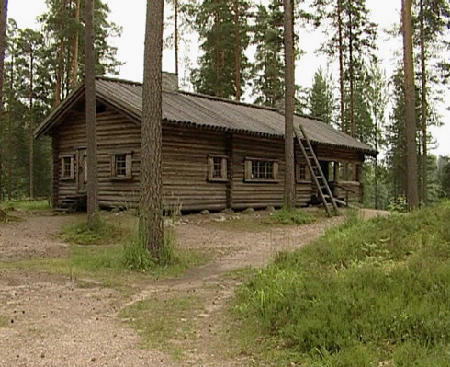 It was re-erected in Loppi, on a site purchased by the Marshal in 1945. 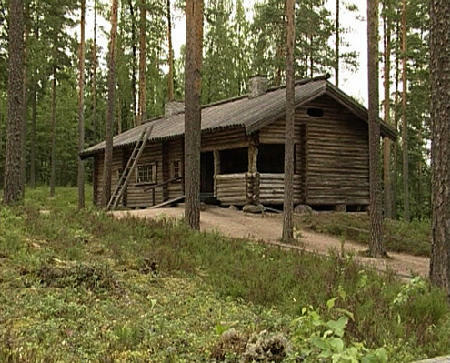 In the beginning of 1948, Mannerheim donated the cabin to the Union of Hunters in Finland, and a little later the maintenance was taken over by the organization named The Hunting Cabin of Marshal Mannerheim of Finland.